Over the shoulder or crossbody slouch bag made from pink cotton. 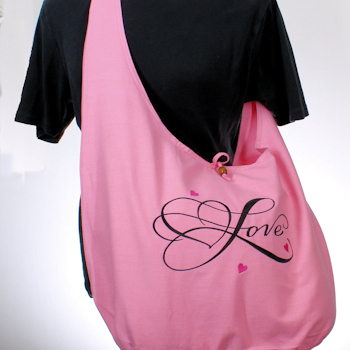 Over the shoulder or crossbody slouch bag made from pink cotton. All cotton makes this lightweight and the capacity is large and spacious for carrying all sorts of things 53x38cm. Simple loop and bead fastening. Over the shoulder or crossbody slouch bag made from pink cotton. All cotton makes this lightweight and the capacity is large and spacious for carrying all sorts of things 53x38cm. Simple loop and bead fastening. Students can pack in books, notepads and clothing. Mums can use it as a babies nappy changing and accessory bag. Gym, Sports, Dancing this cotton bag has multiple uses.